This is a set of wire harness straps for 67-92 camaro and trans am. 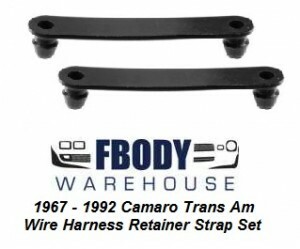 This is set of 2 replacement wiring harness hold down straps for 1967 - 1992 Camaro and Trans Am. 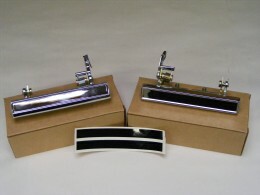 These mount to the body and snap into the existing wiring harness strap holes. 2 1/4" long.